The FOR Peace Presence provides permanent, year-round accompaniment to the Peace Community of San José de Apartadó and periodic accompaniment to a handful of other organizations. 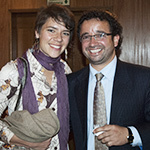 ACOOC supports conscientious objectors in their struggle against discrimination and to achieve recognition by the Colombian government, advises young people who are victims of illegal recruitment practices by the military and is working towards the recognition of conscientious objection by the Colombian government. FORPP is accompanying ACOOC mostly by political accompaniment, raising concerns with the national military, as the rights if the youth are systematically being violated by the Colombian armed forces, and raising awareness on international level. Read more. ASOTR ACAMPO, a collective of 62 families, formed the community of El Tamarindo at the end of the 1990s on untitled wasteland in the outskirts of Barranquilla on the Atlantic Coast, land that was declared part of the free trade zone, generating the interest of powerful families in the region. 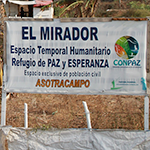 After several evictions, in March 2014, ASOTRACAMPO created the temporal humanitarian space of El Mirador on their last remaining plot in an attempt to resist eviction and neoparamilitary threats. The community was tragically forcibly evicted in December of 2015. FORPP has since then, organized advocacy efforts in support of Tamarindo. Click here to read more. The Comisión Intereclesial de Justicia y Paz (CIJP) is a human rights organization composed of professionals from a range of fields with mainly Christian and humanistic backgrounds. The CIJP’s mission is based in the principles of international human rights law and a Christian and humanistic understanding of human dignity. 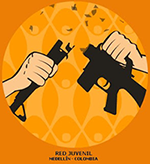 FOR Peace Presence currently accompanies CIJP mainly in and around the city of Buenaventura, analyzing carefully our dissuasion in this scenario where most threats are generated from splittered neoparamilitary groups. Read more. CONPAZ is a network of 140 victims’ organizations, present in 14 departments where the armed conflict still continues. Apart from its challenging work to strengthen community processes CONPAZ has presented decisive contributions to the peace negotiations in Habana. Recently CONPAZ approached FOR Peace Presence with an accompaniment request in order to strengthen their security situation in remote areas and visibilize their concerns of the impact of the peace accords on national and international level via political accompaniment. Read More. The campesino way of life for 113 small-scale farming families in Nilo has been constantly threatened since the creation of Tolemaida military base in 1954, Colombia’s biggest military training bases. Since the base opened in 1954, the inhabitants of the hamlets Yucala, Naranjala and Mesa Baja in the municipality of Nilo, Cundinamarca (150 km from Bogotá) have consistently been subjected to the debasement of their rights, land, and quality of life. FOR Peace Presence is accompanying Nilo mostly in case of emergencies and security incidents by political accompaniment. Read more. The Peace Community of San José de Apartadó, located in Colombia’s northern region of Urabá, is one of many communities in Colombia to take a non-violent stand against the war by refusing to support any of the armed actors in the conflict. Despite having been forcibly displaced multiple times and amidst continued risks, the Community made the decision to return and remain on their land. 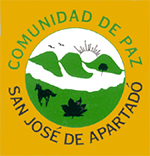 FOR Peace Presence provides permanent accompaniment to the Peace Community of San José de Apartadó since 2002. Read more. Tierra Digna is a Colombian organization dedicated to the defense of communities affected by economic policies and projects that threaten their territories and lead to human rights violations and environmental devastation. The accompanied communities and Tierra Digna and its members are facing constant intimidation and attempts of discreditation as they challenge legally and politically global injust structures and powerful actors involved, such as the State, military and transnational corporations. FOR Peace Presence accompanies Tierra Digna in its thematic area of coal mining and the related topic of human rights and business. Read more. We accompany se veral high profile human rights defenders who are often stigmatized and threatened for doing their legal and political work. Human rights defenders work tirelessly to hold the Colombian government accountable for human rights violations and uphold the rights of vulnerable populations. They often endure threats, stigmatization, and attempts to delegitimize their work. As the FOR Peace Presence, we stand with these human rights defenders seeking to maintain and expand the space that they have to effectively work.Currently, we accompany human rights defenders Jorge Molano and German Romero, who litigate emblematic human rights cases involving powerful interests and often implicating Colombian Generals and other powerful political figures—two landmark cases include the Colombia Judicial Palace Case and the 2005 massacre of the Peace Community. Jorge Molano and German Romero recently filed charges requesting that the Colombian public forces be investigated for their abuse of power and use of violence against unarmed civilians during the National Grassroots Agrarian protests. 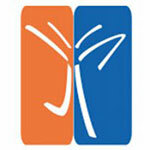 The Medellin Youth Net work is a youth organization that operates explicitly on principles of nonviolence. Started in 1990 by young people who had lost loved ones to the armed conflict, the group trains youth in nonviolence and cooperative play, supports young men who refuse to serve with the police, military or illegal armed groups, and promotes respect for human rights and youth’s ideas in Colombian society. A core group of about 30 young people work out of the group’s office and gathering space, a large house not far from the city center. Another 150 youth organized into neighborhood and issue groups are regularly involved in their activities. FOR accompanied the Red Juvenil from 2005 – 2013. Currently they are not an active partner. Read More. 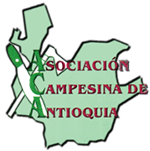 In Antioquia, the Peasant’s Association of Antioquia (ACA) was founded as an alliance between poor farmer communities to improve their lives and conditions and a focus on their rights to not be threatened, to farm and have land. The ACA assists communities who are planning their own return to their lands and especially works in areas where multinational corporations are trying to enforce their interest in dams, resources or agricultural large scale projects (e.g. bananas, oil palms). ACA also has an extensive communications team that investigates and documents the experiences of rural communities. The videos they produce serve to preserve the memory of what has happened in these places, why they were displaced and how they have organized to return. Read More.